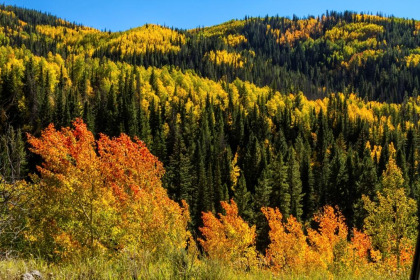 If you’re looking for a mountain vacation that includes fishing, tubing, rafting and kayaking, plus spectacular winter sports access, Wyndham Vacation Resorts Steamboat Springs is the place for you. When you want to take a break from all of your outdoor adventure, you’ll have comfortable accommodations with excellent amenities in a high-quality resort at affordable prices. 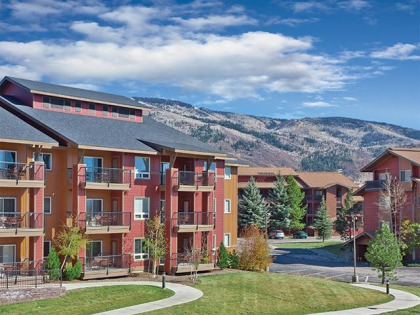 If you buy Wyndham Steamboat Springs timeshare, you’ll have even greater savings as well as a vacation home to call your own without the problems of full-time upkeep. Owing a timeshare in Wyndham Vacation Resorts Steamboat Springs gives you access to two outdoor swimming pools, one indoor pool, hot tubs, fitness center and sauna, game room, playground and much more. With your fully equipped kitchen, you can prepare some meals yourself, to save on food costs. You may imagine having your own home without having to worrying about bedding and dishes or cleaning after you leave. There are a lot of perks with a timeshare and buying or renting a Wyndham Steamboat Springs timeshare put you in a great location. Steamboat Springs is still considered a cowboy town but it called Ski Town USA and offers many adventure sporting opportunities. The main ski area is on Mt. Werner, and there are many shops, restaurants and clubs for great après ski. It’s also a training area for Olympic skiers. Steamboat Springs is named for hot springs throughout the area. The most famous is Strawberry Park Hot Springs just outside the town. There are also world-class biking tours during the summer as well as fly fishing, rock climbing and several golf courses. You can try dog sledding during the winter. Contact Wyndham Vacation Resorts Steamboat Springs Specialist Today!